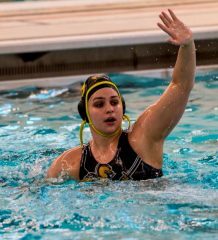 After a successful invitational last weekend, the Gannon University women’s water polo team returned to the water at the George Washington Invitational in Washington, D.C. 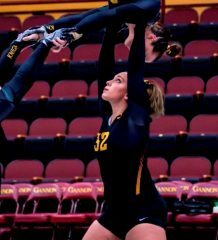 The meet included three hard-fought matches and a win against an NCAA Division I opponent — Saint Francis University. 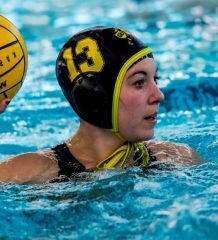 The Knights faced Saint Francis and won 8-7, the Virginia Military Institute and lost 12-9 and capped the weekend by falling to George Washington University, 19-11. The competition started Saturday against Saint Francis. The matchup was the kickoff for the invitational and it started it off successfully. Early in the matchup, Alison Cooney started off the scoring to put the Knights up 1-0 against Saint Francis. After that spark, the Gannon offense went on to continue to score three other goals in the half. The defense held a stout performance, only allowing 29 shots to occur and seven to be made. At the end of half, Gannon led 4-1. However, the second half changed the comfortable lead Gannon was holding. The offense for the Saint Francis attack exploded and unleashed a scare for the Gannon defense. Cooney put the team ahead 7-4 with 7 minutes, 20 seconds left in the match, when she scored one of her five goals in the matchup. However, in the next three minutes Saint Francis rallied to a 7-6 comeback. In the last minute of the match, Liz Barr turned in a clutch goal to put the Knights up two goals. In a last-second effort, Saint Francis put the final goal of the match in with 41 seconds left to go in the matchup. The score ended at 8-7 with Gannon on top. With the strong performance to start the tournament, Gannon could not keep the momentum going for the rest of the weekend. The second match of the day included a strong performance from Cooney as she scored her second-straight five-goal game, giving her 10 total goals in one day of action. After a neck-and-neck competition in the first half, with the teams tied at 4-4, the Keydets offense went on a splurge to score seven unanswered goals. However, Gannon did not go down without a fight. The Knights came back in the fourth quarter by going on a 5-1 run. Although it made a strong comeback, Gannon did not have enough left in the tank and fell 12-9. The next day, Gannon struggled to get on its feet against a strong performing home team, George Washington. At halftime, the Colonials took no time off and led 9-5. After intermission, they came out firing to extend their lead to 12-5 and eventually won 19-11. The Knights once again showed heart in the fourth quarter, outscoring the Colonials 5-4, but it was not enough to beat them. Cooney once again led the Knights in scoring, converting six attempts in the matchup that helped her move up to seventh all-time in career goals at Gannon with 129. The Knights will face a similar foe in its next outing, hoping to gain vengeance against Harvard. 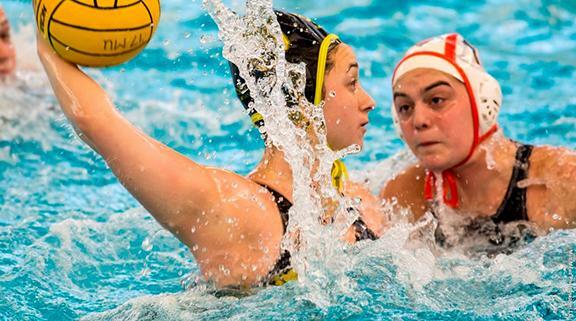 The teams faced off earlier in the season where Harvard defeated Gannon, 17-2. The matchup will take place Sunday, March 26, at the David M. Hallman III Aquatics Center in Erie.